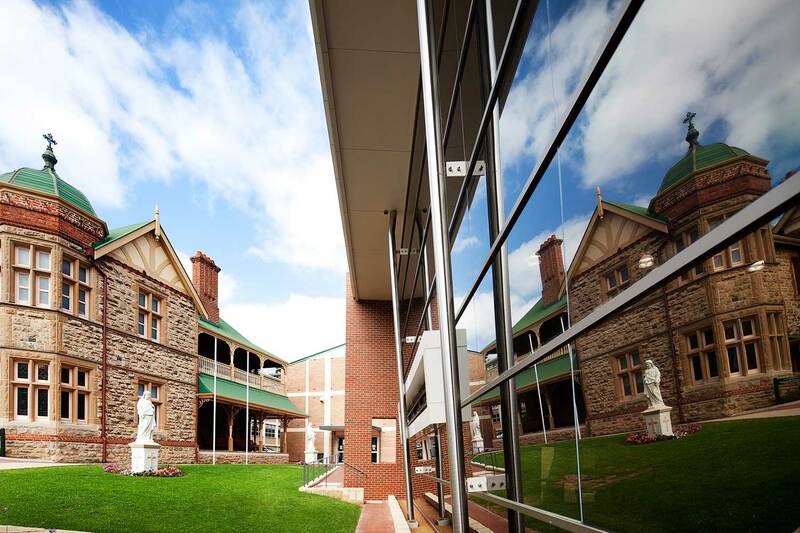 This is a large, complex building within a restricted sloping inner city site with heritage sensitivity. The largest of all buildings on the campus, SITE considered the design as a group of separate interconnected buildings to follow their function and to scale the building appropriately for the site. 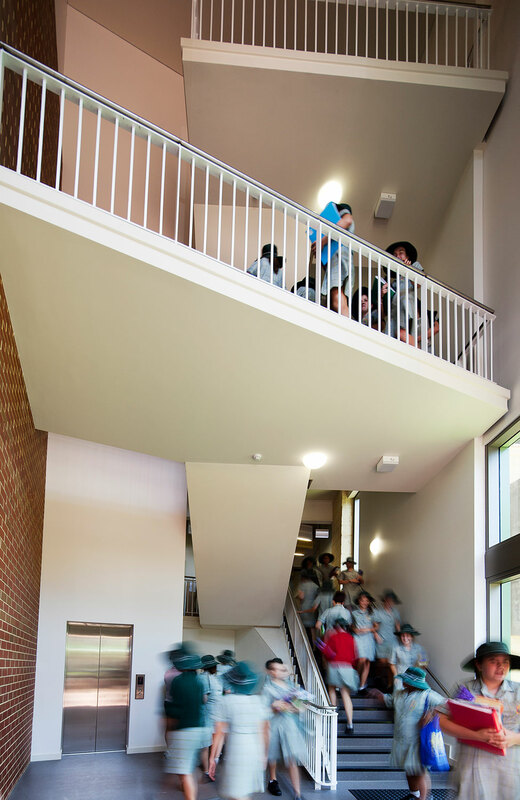 Massing, building elements and materials were informed by the variety of existing campus buildings to compliment and enhance the college sense of place. 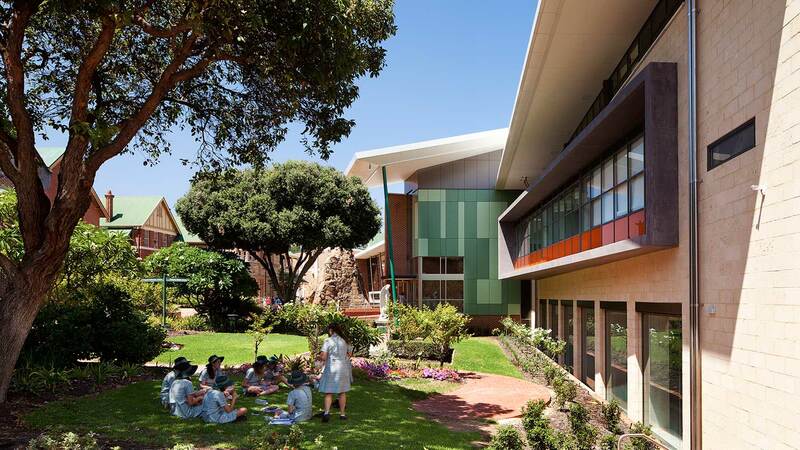 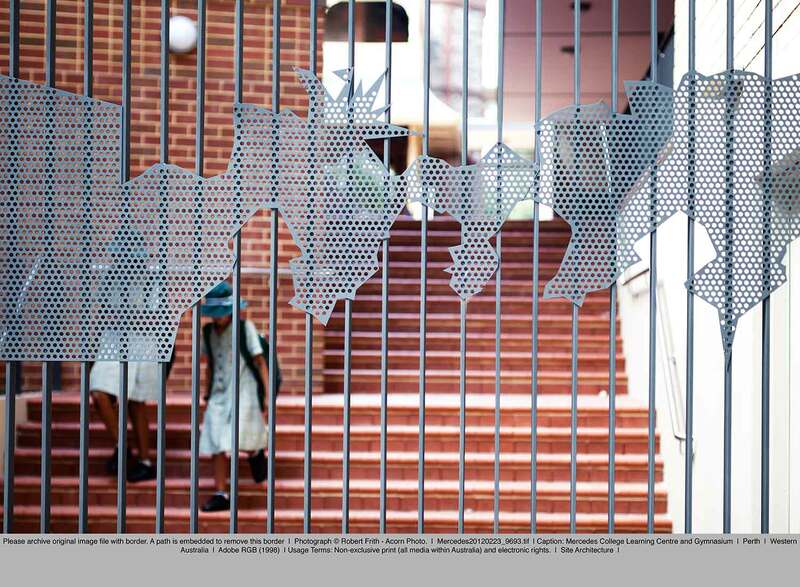 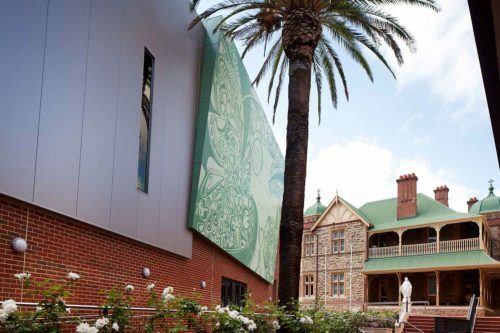 With its long history as a fixture of Perth’s Victoria Square, we were charged with the design of a new teaching facility and sports precinct that respected the adjacent heritage buildings and incorporated the existing swimming pool. 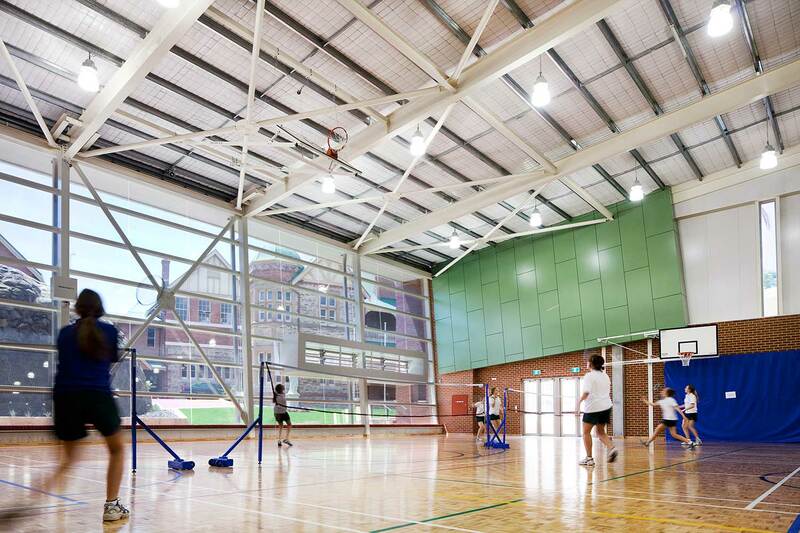 Featuring a sports hall, stores, enclosed swimming pool, toilets and change rooms, science labs, science breakout space, PE office and training rooms, GLAs, seminar rooms, a uniform shop and IT space, we were also tasked with landscaping and external works. 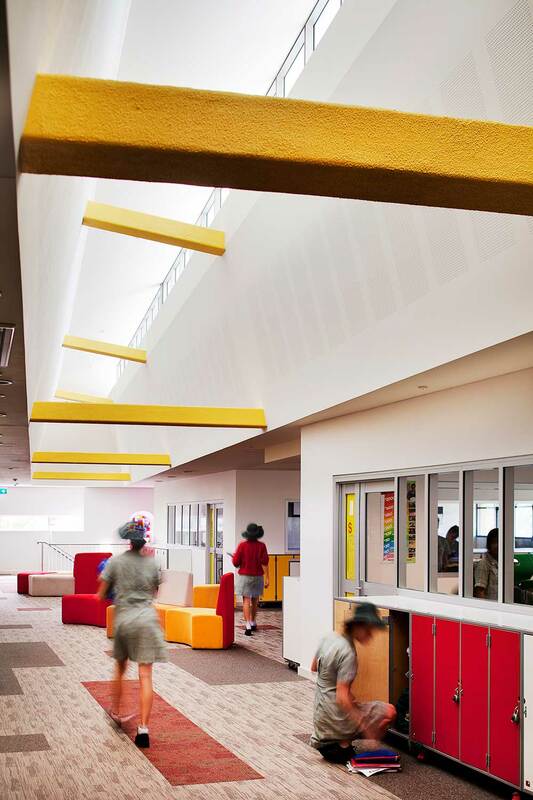 Designed to be read like a 3D text book, the large spanning skeletal structure allows the teaching floors to be reconfigured to suit future changes in pedagogy and learning requirements. In a move away from the traditional approach to learning, the building proposes 21st Century ways of learning where focus shifts out of the classroom and into the corridors, breakout spaces and outside environment. 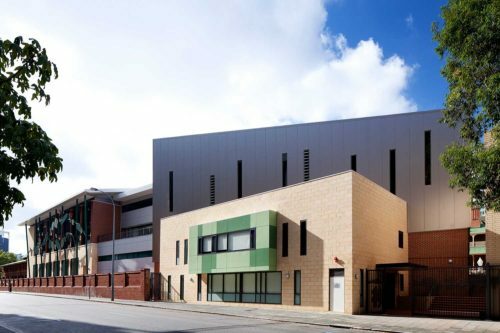 Visual and physical connections were made with Hay Street to open the school up to the city and facilitate community use of the new sports centre, gymnasium, swimming pool and College Hall. The established rhythm of the historic College Chapel and adjacent buildings is reflected in the repetition in the openings and piers of the teaching block façade. 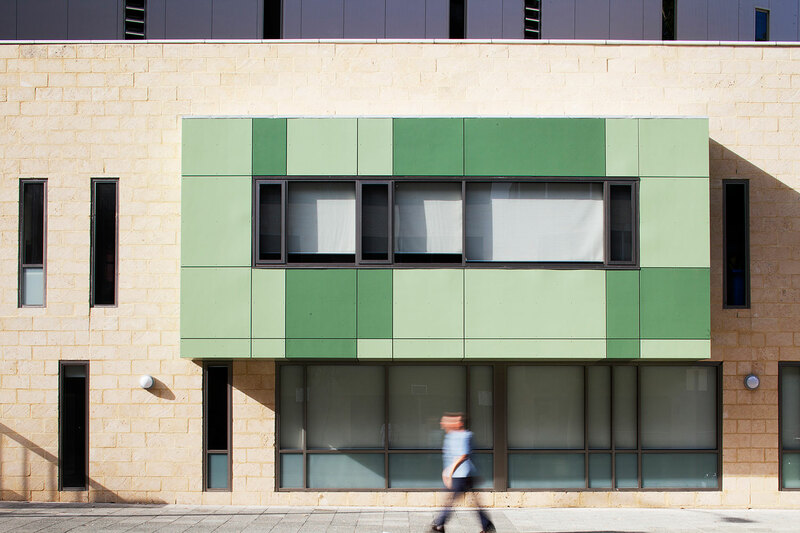 Forward thinking sustainable design initiatives include heat recovery, rainwater harvesting and automated building shading, lighting and other building management systems.